General dentistry deals with the prevention, identification, evaluation, diagnosis, and treatment of conditions that affect the teeth, gums, skeletal structures, and soft tissues of the oral maxillofacial region. General dentists, such as Dr. Ross Quartano and Dr. Zach Staples of Magnolia Dentistry, are primarily concerned with preventing dental disorders and helping you to maintain your dental health. In cases where dental conditions have developed, their mission to eradicate these issues as soon as possible to restore your dental health. Dental plaque contains more than 300 different types of bacteria. Although proper brushing and flossing can remove some of this bacteria, regular teeth cleanings ensure that your teeth remain clean and reduce your chances of developing tooth decay and gum disease. 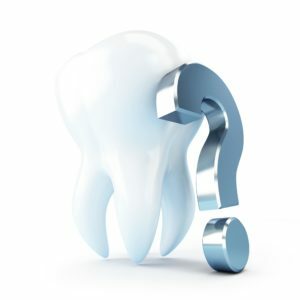 Do I need general dental services? Yes, everyone in the family can benefit from general dental services no matter their age or current level of dental health. Because the majority of general dental services are aimed at preventing dental issues from occurring, regular dental appointments are a necessary part of keeping you and your family’s teeth healthy. In fact most general dentists consider themselves to be family dentists, because they treat both children and adults, and will keep your entire family in excellent dental health. How often do I need to visit Magnolia Dental for general dental services? The American Dental Association (ADA) recommends visiting your general or family dentist at least once every six months for regular dental checkups and professional teeth cleanings. Depending on you and your family’s individual dental needs, you may need to schedule more frequent appointments. How long has it been since you and your family’s last dental appointment? For great family dental care, schedule a consultation with Dr. Ross Quartano and Dr. Zach Staples of Magnolia Dentistry today! 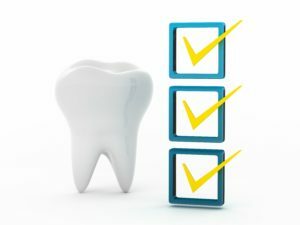 How should I prepare for my general dental appointment at Magnolia Dental? Why do my teeth bleed when I floss? Am I using the correct brushing/flossing technique? How is my oral health and how can I improve it? Do I have any medical conditions or am I on any medications that can affect my oral health? Additionally, if this is your first time visiting Magnolia Dental, we ask that you arrive about 10-15 minutes before your scheduled appointment time so you can fill out all the necessary paperwork. You may also wish to look up directions to our office ahead of time so that you can avoid the stress of getting lost before your appointment. What can I expect during my general dental appointment at Magnolia Dental? During your general dental appointment at Magnolia Dental, you can expect to have a dental exam, dental x-rays, and a teeth cleaning. During your dental exam, our dentists will be evaluating your teeth, gums, and bite. They will use special dental tools to check for areas of decay or sensitivity on your teeth. They will also look for signs of wear that could indicate teeth grinding or an improper bite, as well as checking for signs of damage. Your gums will also be evaluated, and your gum pockets will be measured to check for possible gum recession that could indicate gum disease. They may also ask you to bite and check the function and motion of your jaw when biting. If your dental x-rays have already been taken, they will likely discuss your x-rays and their findings, and answer any questions you may have. To obtain diagnostic information about the underlying bone structure or hard to see areas of your mouth, dental x-rays will be taken. During dental x-rays, you may be asked to hold your lips away from your mouth or to bite down on various plastic shapes or discs. It is very important to you remain still so a clear image can be taken. Dental x-rays do not hurt, don’t take long, and use very minimal radiation, so they are considered to be safe. The final step of your general dental appointment is to have your teeth professionally cleaned. Professional teeth cleaning will generally begin by having one of our dental hygienists gently scrape of the plaque and tartar from your teeth. While plaque can be removed during regular brushings, tartar is hardened plaque that only can removed with a special dental tool called a scaler. It is important to regularly remove the plaque and tartar from your teeth because they harbor millions of bacteria that can lead to gum disease and tooth decay. After using the scaler, your teeth will be brushed with a gritty toothpaste, flossed, and then rinsed to remove any smaller remnants. Your teeth cleaning will conclude with your teeth being polished with fluoride. What can expect after receiving general dental care from Magnolia Dentistry? After your general dental appointment, Dr. Ross Quartano and Dr. Zach Staples may give you special instructions to follow depending on your current dental health. They may also suggest certain restorative treatments if your dental health warrants restorative care. Depending on the type of restorative care that is needed, you may be able to start treatment right away or you may need to schedule an appointment for another day. To keep you and your family’s dental health in good condition, you will need to schedule your next family dental appointment for six months out. In the meantime, you and your family should practice good oral hygiene habits including brushing twice daily for two minutes with a fluoridated toothpaste and flossing once a day. For the highest quality dental treatments and sincere patient care, schedule a consultation with Dr. Ross Quartano and Zach Staples of Magnolia Dentistry today. Magnolia Dentistry provides dental services to the community of Covington, LA and surrounding areas.